The girls walked through this area with a lot of interest, reading the information on signs, trying things out (there were lots of hands-on things to do). 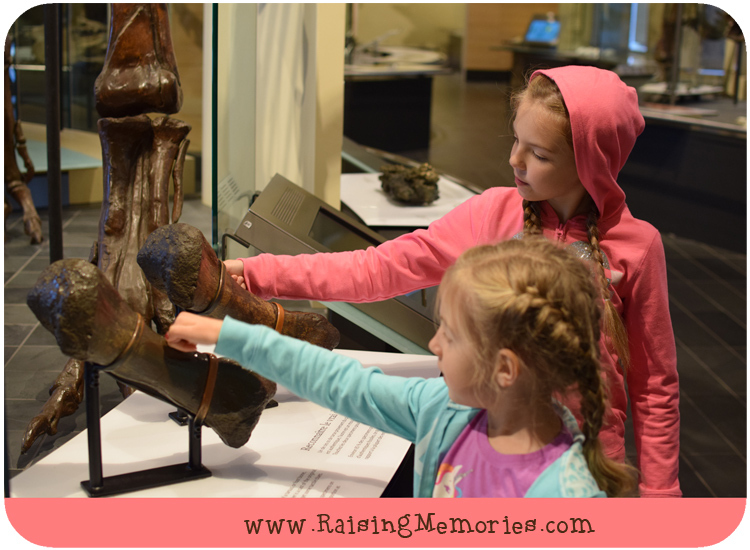 In the photo below, they were comparing two dinosaur bones to determine which was real and which was a replica. The building itself was gorgeous! 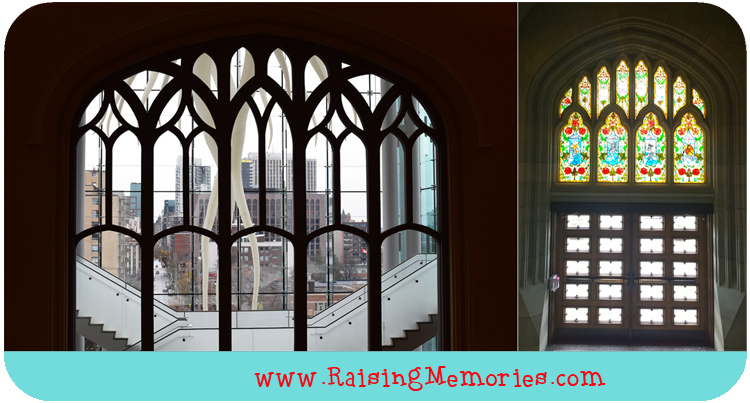 We loved the stained glass windows and the fancy stairways and tall ceilings. The museum is in a renovated "heritage castle". We actually saw a wedding party having photos done there- what a beautiful location! Throughout the museum you can find several different galleries that focus on Mammals, Birds, Water, Animalium, and Vale Earth (with a world-class collection of minerals, rocks and gems). Below are photos from Water and Birds. The whole museum had a lot of hands-on, fun activities for kids. 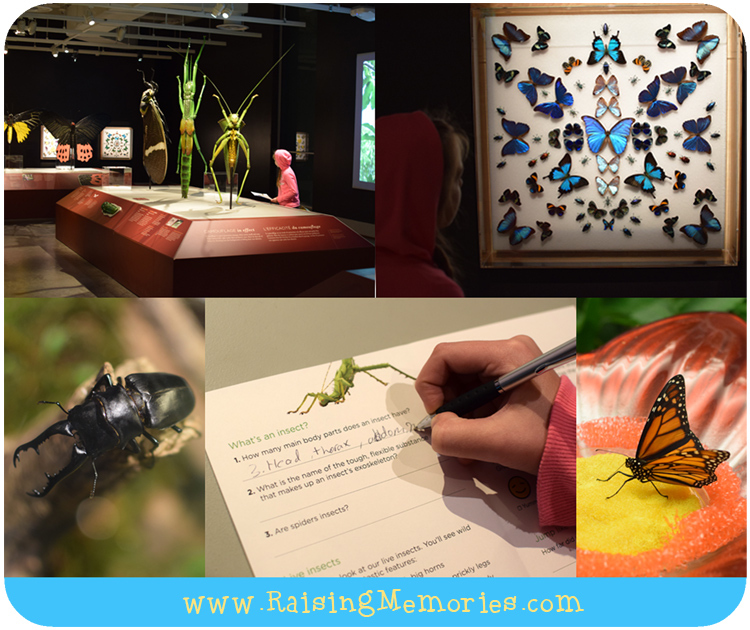 There is a special exhibit at the museum until March 27, 2016 called Bugs: Outside the Box.When you get to this exhibit, you can grab a quiz and fill it out as you walk through the exhibit. It has questions for you to find answers to, so it makes it a bit of a quest for kids, and encourages them to pay attention to the details. There were large models of different insects by Italian sculptor Lorenzo Possenti. Each model also had a life-sized model in a case, for size comparison. 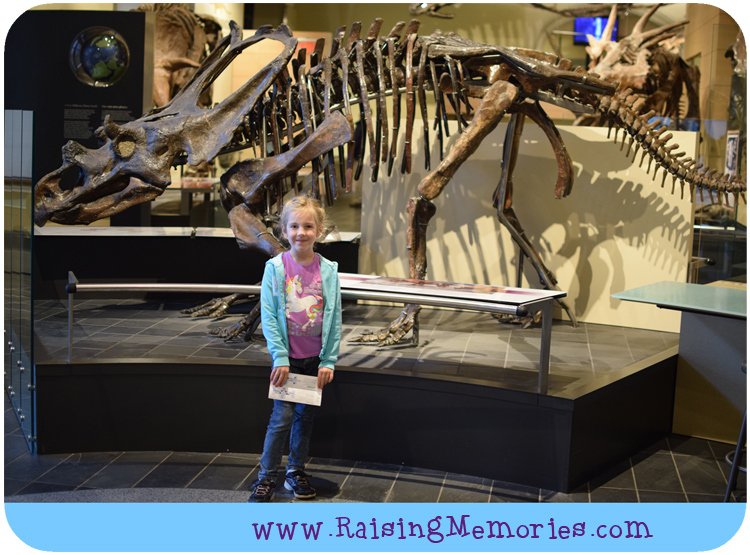 This is another museum that I would recommend if you're travelling to Ottawa and wondering where to go with kids. 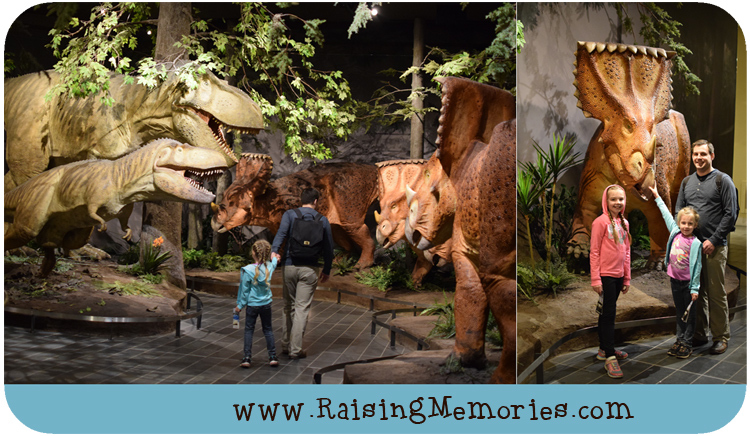 Although it's not technically a "kids' museum" (like the one at the Museum of History) it definitely did cater to kids and they would not be bored there at all- it was a lot of fun! It really was cool. 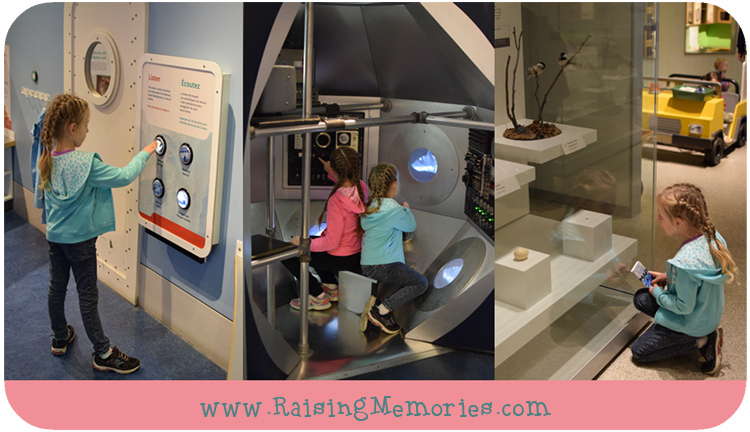 :) I agree, having so many interactive exhibits was so perfect for kids! My son would go nuts for this place! He loves dinosaurs and he would be pretty excited to see that exhibit! It was really cool! Lots to learn for a variety of ages! This place looks so cool. My daughter would absolutely love it. I do want to take her to Ottawa to see all the beautiful Canadian sites...when we go, I will def add this on my list of to-dos. My mom took my oldest to this museum while we were visiting Ottawa for a conference. He had so much fun, and the photos they shared with me looked amazing. I am hoping to take the whole family back again soon.